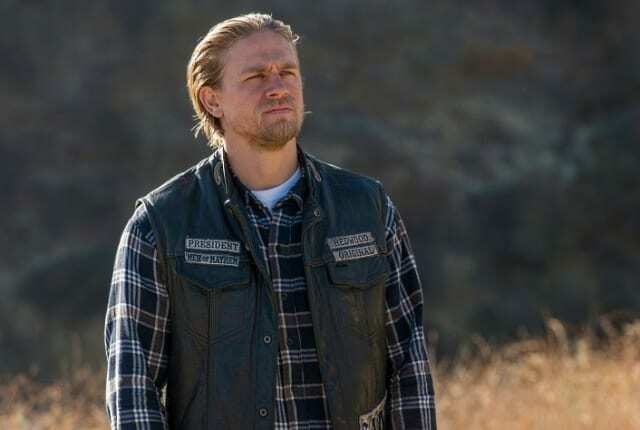 To see how Jax tracks down the rat and if Bobby loses any further body parts, you'll need to watch Sons of Anarchy Season 7 Episode 8 online here at TV Fanatic. Jax is left reeling after receiving Bobby's eye in a box. He considers stepping down as President but Chibs convinces him that the club needs him. As they search for the person who turned on them, they find out that Gibbs was actually Jury's biological son. When Jax confronts Jury he says he wanted Jax dead but swears he didn't rat out the club to the Chinese. When Jax and Jury come to blows, Jury goes for his gun and Jax shoots and kills him. Jury's vice president is furious and accuses Jax of killing executing Jury without taking it to the table for a vote. In jail, Juice makes a deal to testify against Lin's men for Tara's murder and he'll tell them where they can find the murder weapon. Unser figures out that he's doing all of this to kill Lin in prison so that Jax will let him back into the club. Still, Unser feels as though there's a piece he's missing. Abel is sent home at school for hitting another boy in the head with a metal lunchbox. When they return home they find Gemma's birds dead in her bed and a message written on the boys' bedroom wall: "No Son is Safe." Watch Sons of Anarchy Season 7 Episdoe 8 Online here at TV Fanatic. On Sons of Anarchy Season 7 Episode 8, Jax searches out the traitor while Bobby's fate hangs in the balance.